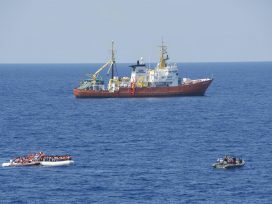 Venice versus Lampedusa: travelling around Italy, Slavenka Drakulic observes one kind of Europe being replaced by another. Instead of attempting to conserve the cultural past, we should accept that migration will adapt much of what we consider “European” to its own image. To its people, Venice is probably at its most beautiful when seen from afar, like in one of Canaletto’s eighteenth century vedute. On an autumn afternoon, when its magnificent palaces are reflected in the shimmering water, Venice, in all its unreal beauty, really does look like a movie set. Indeed Venice today is not much more than a stage setting. When my first floor neighbour at the palazzo where I had rented an apartment finally came downstairs, I pulled shut the heavy front door. In her late eighties, Signora Immacolata walked with a cane. We headed down Calle dei Fabbri for her to show me the nearest supermarket. Our progress was slow, not only because of her but because at nine o’clock in the morning the street leading from the Rialto bridge to Saint Mark’s Square was already packed with tourists. Diminutive and stooped, dressed in black, Signora Immacolata barely managed to make her way through the crowds, dragging her shopping cart behind her. When we reached the first little bridge she stopped. Holding onto the railing, she barely managed to haul herself onto it. There are two such bridges crossing the canal on the way to the supermarket and both of them are stepped. Even though the Co-op supermarket near the Campo Santa Maria Formosa is only a leisurely five or six minute walk from her house, it takes Signora Immacolata at least twenty minutes to get there. And when we arrive we find a long line at the checkout counter, because every budget-conscious tourist invariably seems to find their way here. All in all, it takes the old lady at least an hour to do her shopping. “And it’s like that every day…” she sighs. Her legs are still okay but she cannot carry things up the stairs. Luckily, her badante, the Croatian woman who looks after her, is due back soon. There used to be a bakery near her apartment in Corte Gragolina, and little general stores, and a butcher’s and a green grocer’s, and a newsstand, and a cobbler – in short, everything needed for everyday life was close at hand. Now they have all been transformed into souvenir shops. Her street is a continuous succession of small shops selling fake Murano glass, pizzerias charging eight euros a slice, tourist restaurants, bars and pastry shops. That entire area around Saint Mark’s Square has only two supermarkets, one smaller than the other, and, I think, a single post office that I had a hard time finding. My neighbour is right, of course. In the past fifty or so years Venice has lost 65 per cent of its population and only 23 per cent, mostly older people, live in the city’s historical centre. Just a few decades ago, 150,000 people lived in the old part of town, but today that number is barely 40,000, and it is steadily declining: partly because Venice is too expensive to live in and people are moving to outlying areas, to Mestre for instance, and partly because there is no work for the young and educated. Venice has an excellent university, lots of young people come here to study, but they don’t stay. “If you don’t want to be a waiter or a maid or to help the elderly, you don’t have much of a choice. And even those jobs have been taken by foreigners, by immigrants,” says my neighbour resignedly. Still, there’s no need to shed a tear for the Venetians. Some are earning a pretty penny from renting out apartments, others have sold their property and are now nibbling away at their capital. The fact remains, however, that for those who live here – and it is an aging population – life is becoming increasingly hard. One has to survive the onslaught of millions of tourists every year, that mass of people pouring through the streets of this magnificent city of canals and little alleyways that are rarely more than three or four metres wide. Venetians know only too well that they are living not in a city but in a museum. And that Venice is becoming less and less a real, living city, and more and more a museum of Europe’s past, embodying all the glory, wealth, power, beauty and art of times long past. That is precisely why millions of tourists come to see it. The mass tourism industry was the first to realize that there was money to be made not only out of the splendour of Venice but also its importance as an open-air museum. At the same time, the Venice of today is a perfect metaphor for Europe as it once was, the Europe whose culture and values Europeans swear by, take pride in and wish to preserve. 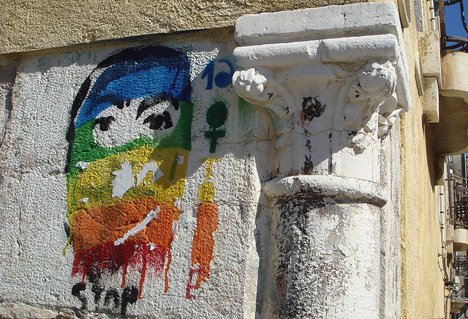 Bari, in the far south of Italy, offers a very different picture from Venice. It is still warm. It is the end of September, but the holidaymakers have gone. On a Sunday evening in the Piazza del Ferrarese in the old part of town, the incidental tourist will find the locals perched on a low wall or sitting in little cafés drinking beer or strolling around the square, which serves as a kind of corso, a promenade. The several thousand people gathered in the square look as if they all know each other, children are playing tag at nine o’clock in the evening, teenagers are cooling themselves off with an ice-cream and their nicely dressed parents, and even grandparents, are standing around talking loudly, gesticulating, like in one of Vittorio De Sica’s black-and-white movies from the 1960s. This is a lively town. If Venice is where old Europe is dying, then Bari is where new Europe is emerging. It is one of the entry points for immigrants to Europe. Twenty years ago, in the summer of 1991, an Albanian freighter called the Vlora sailed into the port of Bari carrying more than twenty thousand refugees. Older readers will probably remember that Albanian exodus across the Adriatic Sea, prior to their “velvet revolution”, if the Albanians ever had one. A picture of the huge freighter crammed with people made the rounds of the world at the time. Sometimes, a single photograph can symbolize a particular time or a historical event. So it was with Jeff Widener’s photograph of a lone man facing a column of tanks in Tiananmen Square. And with Nick Ut’s picture of the naked little Vietnamese girl and her brothers scorched by napalm, with Eddie Adams’s photograph of a police chief in Saigon shooting dead a Vietcong with his pistol, and with the recent photo of prisoners being tortured at Abu Ghraib. And so it is with Luca Turi’s famous photograph of the Vlora. His exhibition, Flight of the Eagles, marking the twentieth anniversary of the event, had just opened in the foyer of the Teatro Petruzzelli. As the Vlora sails in, people throng the decks and railings, clusters of human beings hang from the smoke-stack, from the ropes, from the masts. In the next picture they are within reach of the shore and are jumping into the water, swimming, as if afraid that the land will slip from their grasp. And then there is a superb but terrifying picture of a vast mass of people, taken from above, who have disembarked and are on the waterfront, standing under the scorching sun. This scene of 20,000 people frozen just at the moment they have finally made it onto dry land looks positively biblical. Those years saw a wave of some 100,000 Albanians enter Italy – today their number stands at about half a million. Since Romania joined the European Union, there has also been an incoming wave of almost a million Romanians. Roughly ten per cent of the Romanians are said to be Roma, the latest scapegoats of Europe’s anti-immigration policy. The West deports them and revokes their residence permits (Italy, France) – in the East they are fenced into ghettoes, beaten up and murdered (Slovakia, Czech Republic, Hungary). And yet, a mere five or six years ago, foreigners in Italy, and indeed in Europe, did not pose the problem they do today. Anti-immigration, and in particular anti-Muslim hysteria, intensified after the publication of controversial caricatures of the prophet Mohammed in 2005, assuming serious proportions with the onset of the recession in 2008. The people of Bari were supportive and helpful, because at the end of the nineteenth century millions of Italy’s poor emigrated from the city and from the province of Puglia to America, the promised land, where in a matter of two or three generations they became completely assimilated. Some hundred years later, Italy had become the promised land to some other immigrants. Of late, Bari has served as a transit town for immigrants, more for refugees than for economic immigrants. Accommodated near the airport, they are part of the latest wave of some forty thousand refugees who have reached the island of Lampedusa from Tunisia and Libya, following the political upheavals there. The authorities house the new immigrants in one of the Reception Centres for Asylum-Seekers (CARA) and then a commission decides on their fate. Italy has eight such CARA centres, thirteen Centres for Identification and Expulsion (CIE) and seven First-Asylum and Identification Centres (CPSA), with only a few commissions deciding the future of these people. Last summer, Bari was again cast into the public eye because of the refugees, more precisely the asylum-seekers from CIE. At the beginning of August, hundreds took to the streets on the outskirts of town, stopping trains and clashing with the police. The result was 80 injured and 29 arrests. I ask my new acquaintances about the incident. Every day at lunch time they gather at a bar, the Il Borghese, on the corner of Via de Rossi and Corso Vittorio Emanuele: lawyers Dario Belluccio and Maria Pia Vigilante from “Giraffe”, an organization that gives legal advice to immigrants; Maddalena Tulanti, the editor of the local paper Corriere del Mezzogiorno; social worker Silvana Serini; Erminia Rizzi from the local Immigrants Advice Bureau. This is a particularly difficult problem, says Dario, a human rights activist and one of the few people to have access to the CIE, which is off limits to both lawyers and journalists. When the Libyans arrived, they came with a smaller number of people from Ghana, Nigeria, Mali, Burkina Faso and some other African countries, who had been working and living in Libya for years. Under the law, they are not entitled to war refugee status like the Libyans, but are treated according to their country of origin, regardless of how long they may have lived and worked in Libya. They therefore have no chance of obtaining a temporary residence permit on humanitarian grounds. Not only do their cases take agonizingly long to resolve, but in the meantime the authorities are treating them like common criminals. Deprived of contact with the outside, their living conditions are worse than prison, says Dario. By taking to the street they were trying to draw attention to their impossible situation. Among the refugees in Lampedusa are a large number of children. Silvana looks after unaccompanied minors, in other words parentless child refugees. She tells me about two brothers, war refugees from Afghanistan, who came as teenagers. They were illiterate but now are finishing school and working, she says proudly. Then she takes out the latest issue of the weekly l’Espresso; in it there is a report by Fabrizio Gatti entitled “A Children’s Prison”, about 225 children and adolescents imprisoned for months on end, housed with adults at the CPSA camp in Lampedusa. They live in squalid conditions, without even minimum care, even though these are traumatized children, some of whom have not only witnessed the violent deaths of their parents but also have gone hungry and thirsty for days. In the six months between March and the end of August 2011, 707 children landed on this island, some of them mere toddlers or infants, while others were born on Lampedusa itself. Their situation is even worse and even more uncertain. Don Angelo, a priest at the church of San Sabino (right next to the city beach of Pane e Pomadoro), is the best address in town when refugees need to get help, I’m told. He had just graduated from the seminary when the Albanians disembarked; he saw them on the waterfront and in the stadium, where 10,000 people were detained. The authorities released them only after the intervention of Don Tonino (the well-known pacifist and bishop Antonio Bello). Don Angelo had also been on humanitarian missions during the wars in Bosnia and Kosovo. This tall man with red hair and a disarming smile talks about “institutional racism”, about the reasons for the frustration of the rioters, who feel that they are utterly discriminated against compared with the Libyans and Tunisians, even in terms of the colour of their skin. He confirms Dario’s assessment that they live in impossible conditions, in complete uncertainty as to the length and outcome of the legal procedure to which they are subject. “Their anger is contagious, it will spread to other centres. This is no longer a situation where immigrants gratefully accept a crust of bread, and then keep quiet and wait. They want an answer.” Indeed, even before Bari, embittered by the way the authorities were treating them, immigrants protested in Mineo, then in Crotone, but also in the north of Italy. “It’s about despair, not some externally orchestrated revolt. It’s incredible that the authorities don’t see that,” Don Angelo tells me. The gulf between the refugees and the authorities is one side of the coin. But a gulf has also emerged between the locals and the refugees. The inhabitants of Lampedusa, which is closer to Tunisia than it is to Sicily and has a population of just over 5,000, initially pulled the drowning people out of the sea, saving hundreds of lives, and helping refugees to survive. But last September, by which time no less than 40,000 refugees had come onto the island, things went sour. The locals turned against the refugees when the latter set fire to the CPSA, the First-Asylum Centre, where about 1000 refugees were accommodated (far more than the Centre’s actual capacity). 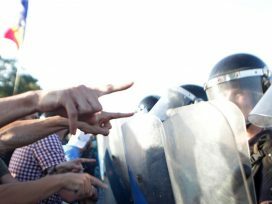 They were hoping to force the authorities to speed up the resolution of their status; some twenty people were injured in clashes with the police. The fact is that the government is too slow in keeping its promise either to transfer them onto the mainland or deport them; and so, after the rioting, the mayor declared that he would not let a single more refugee onto the island. As a result, this isolated, neglected island became a kind of victim itself, a hostage to the authorities’ machinations. Because something had to have gone very wrong for the locals to switch from solidarity to disgust in a matter of a few months. Something had to have greatly changed for those same Lampedusans, who had been the first to reach out and rescue hundreds of drowning refugees, now to hurl stones at them, shouting “throw them back into the sea, they’re all criminals!” Clearly this small island community, which lives in difficult conditions itself, cannot carry such a heavy burden without help from the state. Emanuele Crialese’s film Terraferma (Dry Land), which won a special prize at the 2011 Venice Film Festival, is about precisely this clash between humane principles and the law after a group of refugees arrive on just such a small, unnamed island. I saw it in Bari a day after it had premiered. There were only ten of us in the audience at the 18:30 showing. Maybe it was too early for the movies, maybe it was too hot. Or maybe the viewing audience was so small because the film deals with a complex issue. “A beautiful, very humane movie,” an older gentleman unexpectedly remarked to me as we were leaving the movie theatre. There were several films on the subject at Mostra this year, films like Andrea Segra’s Io sono Li, Francesco Patierno’s Cose dell’altro mondo and the great Italian director Ermanno Olmi’s Il villaggio di cartone. Much is also being written about the problems of immigrants and refugees, not only by well-known commentators but also by sociologists, politologists and writers like Gabriele del Grande and Luca Rastello, to name just two. But the refugees themselves, those who have stayed on in Italy, are also writing. People like Elvira Mujcic, originally from Bosnia, and Igiaba Scego, whose parents are from Somalia. In Italy, there seems to be far greater social and especially artistic awareness of the refugees and immigrants than is to be found in the official policy, which favours closing the borders to them. Many people in Italy still remember the exodus that ravished whole swathes of the country, especially at the start of the twentieth century. Italians know that few people leave their country, culture and language for the sake of pure adventurism. They emigrate out of brute necessity, usually to escape war or economic poverty, prepared to risk even their own lives as they set off into the unknown, very much like today’s North African newcomers. In the past 150 years, 18 million people have emigrated from Italy, a figure equivalent to the population of a medium-sized European country. Mostly, they went to America, more than five million of them, which far exceeds, say, the number of Irish emigrants. Visiting the Museum of Italian Emigration in Rome, I saw why documenting emigration (and immigration) is important for the history of a nation, and for understanding its underlying reasons. Located to the side of the Il Vittoriano monument, on the Piazza Dell’ara Coeli, the entrance to the museum is inconspicuous, certainly not a place where you will see swarms of tourists. No, mostly it’s Italians you see here, walking around, looking at the video archive, the library, the rooms exhibiting frayed suitcases and yellowed shipping charts, with passenger lists and identity cards and passports, faded photographs from home, and the first photographs of arrival in their new, far-away countries and continents. Perhaps these visitors are remembering their ancestors, perhaps they are looking for their names on the lists. Letters, diaries, sports clubs, folklore groups – they all tell individual stories of the despair and hopes of these impoverished peasants, who left the south for an unknown world, on their own, some barely fourteen years old. Just like the desperate of today. This was all just a few generations ago; there are still people who talk in front of the camera about the drama of leaving, about relatives or parents standing on the pier, waving until they become mere dots on the horizon. As I walked around the museum, I thought of the Haus am Checkpoint Charlie in Berlin. There you can see the many different ways that the East Germans tried to escape to West Berlin, ringed by a 140 kilometre-long wall. Some of these attempts were quite incredible, from flying with a balloon to digging a tunnel under the wall, smuggling people in the trunk of a car or swimming the Baltic Straits. At the beginning of the movie Terraferma, a flimsy overcrowded boat sinks and all that is left floating on the water are letters, photographs, documents, toothbrushes… Shouldn’t such items be collected as symbols of identity and exhibited in a similar museum dedicated to the refugees of North Africa? Shouldn’t it collect testimonies to the ordeals of those who suffocated on deck, who drank urine just to survive, who threw living people over the railings? That, of course, would be a museum dedicated to suffering. But it is something the refugees deserve, wherever they may come from. So I was glad when, not even a week later, I spotted a small news item in an Italian newspaper: “Pieces of wood, family photographs, pages from the Quran, shoes, food boxes, music cassettes… items salvaged from the sea or left behind on the boats that carry thousands of immigrants across the Mediterranean every year, all this can be found in a small room, ten square metres in size, which forms the heart of the museum of immigration set up in Lampedusa by volunteers of the Askavusa association.” It was founded by a local artist, Giacomo Sferlazzo, in the hope that others would join the initiative. You can also find immigration figures at Museum of Italian Emigration. Italy has 3,891,295 immigrants, accounting for 6.5 per cent of the population. Caritas Migrantes gives different figures: roughly five million immigrants or 7 per cent of the population. Interestingly – and this was confirmed by many of the people I met – Islamophobia is not prevalent here and fear of Muslims is not used as a means of propaganda as it is in the north of the continent. However, activists like Don Angelo and some journalists caution that a different kind of generalization is at work – both the law and the media criminalize refugees as a group. By and large, the authorities treat them like common criminals, even though they have done nothing to deserve it. This is one of the reasons why they are protesting. And even that is a problem, because Europe is still not used to refugees protesting. Europeans expect only gratitude. Public television plays an especially interesting role in the policy of fear. Citing research conducted by Demos&Pi, La Repubblica writes that in the first four months of 2011, news about immigrants accounted in Italy for 13.9 per cent of news programs on TG1. For the sake of comparison, this figure stands in France at 1.6 per cent on France 2 television and in Germany at 0.6 per cent on ARD. It is worth noting, however, that Italy was experiencing a so-called “invasion” of immigrants at the time. All the same, the heavy news coverage did not have a decisive impact on the viewing audience. According to the same source, only six per cent of Italians cited immigrants as their main concern, compared to 55 per cent who cited the cost of living. 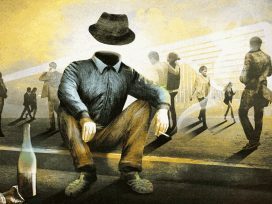 “This goes to show how the sense of insecurity is a political and media ‘construction’, which introduces and stokes ‘fear of others’ and increases the already present feeling of insecurity that exists for economic and (un)employment reasons,” writes author Ilvo Diamanti. 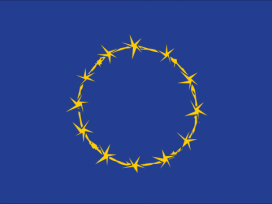 There are numerous humanitarian and civic organizations, such as Fortress Europe, that advocate the rights of immigrants and offer them very tangible assistance. 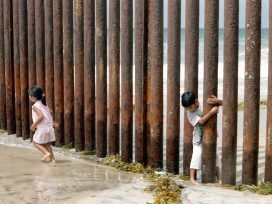 These organizations believe that immigrants will keep coming regardless of increasingly restrictive, and even immoral, legislation; regardless of the walls erected and the other obstacles awaiting them. Because where they come from things are even worse. Immigration policy should, therefore, be rational rather than based on fear, because the only ones to profit from the latter are politicians and parties that promise the impossible. Fear of immigrants is the yeast on which they grow. In Rome, refugees live behind the Termini train station, in a part of town known as Esquilino. I realized how different Esquilino is from other neighbourhoods in when I took a walk down Via Carlo Alberto toward the Piazza Vittorio Emanuele. There I saw something that I last saw maybe fifty years ago in Yugoslavia: a street knife-grinder. The dark-skinned young man was hunched over a big whetstone, sharpening a knife for a woman leaning against a doorway, smoking, waiting for him to finish. They were speaking in Romanian. This is where my friend Alessandra lives. Admittedly, you can’t see the crowds in Piazza Vittorio Emanuele from the big balcony of her top, fifth-floor apartment. The piazza is ringed with shops selling all and sundry, not that there seem to be many buyers. The shops are mostly owned by the Chinese. But as soon as she walks out of her building, Alessandra finds herself surrounded by people from different continents, of different colour, speaking different languages. She took in a little boy from Cameroon, but after a few years his mother took him back. Looking at David’s photograph on her desk, I think of the difference between Europe and the States: had he been in America instead of Italy, this same little boy would have become American. In Italy neither he, nor indeed his offspring, will ever be Italian, citizens of Italy. But his white peers, whose parents come from Albania or Bosnia, will become Italian, as will their progeny. Alessandra is a psychologist and works as a volunteer on projects that help immigrants adjust to and integrate into their new environment, by learning the language, going to school and finding a job. The Fund for the Social Inclusion of Immigrants supports a whole range of these programs and activities. Alessandra shows me a book and DVD called La meta di me (Half of me), the product of one project that focused on the second generation, the children of immigrants. There are plenty of such initiatives. Experience tells her that most of this generation will remain in Italy and that they need to be given a chance to become equal citizens as soon as possible. She thinks that immigration policy is all wrong. The law allowing immigrants to be joined by their families has been abolished, so that most economic immigrants and war refugees are young men, who wind up facing a whole slew of problems, from depression to alcoholism, drug addiction and crime. They have no motivation and no goal. Brute survival is not enough of an incentive. Alessandra referred to something I had heard mentioned before – the experience of Italians in the United States. When you give people an opportunity to establish themselves in a society, they usually take it. To be sure, the American melting-pot offers a different model of integration; but equally, says Alessandra, immigration policy should be based both on the principle of solidarity and humaneness, and on the principle of mutual benefit. One example of mutual benefit is Elvira Mujcic, a young woman who was not even thirteen when she came to Italy as a refugee from Srebrenica. A high school and college graduate, today she is a successful young Italian writer – for it is in Italian that she writes. As we lunch on melanzane alla parmiggianna in a little restaurant in Via del Boschetto, we talk about identity. She sees no contradiction between her Bosnian origins and the fact that she writes in Italian; indeed, she speaks it better than her mother tongue, which, in the course of our conversation, she periodically apologies for. Identity is not some rigid mould you fall into or not. On the contrary, we talk about how the one, let’s say Bosnian, does not rule out the other, Italian. She loves Bosnian food, but she loves the Italian language. She no longer wants to live in her birthplace, and it’s not just because there is no work in Bosnia. She feels that she belongs here: this is where she went to school, where she lives and works, where she loves. Still, it was easier for her to assimilate as a refugee because she is European. It is harder for those around the Piazza Vittorio Emanuele, especially if they come from other cultures and other continents. But even here there are success stories. Take the interesting story of the Orchestra di Piazza Vittorio. Today it is quite well-known, with three albums under its belt, some three hundred concerts worldwide and a documentary film. It embraces musicians from Tunisia, Brazil, Cuba, America, Hungary, Ecuador, Argentina, Senegal, India and, of course, Italy – but its composition changes. The orchestra was formed in 2002 by conductor Mario Tronco as part of a project to help save the Apollo movie theatre. Even more interesting than the story of the orchestra’s formation is the kind of music it plays. In Rome one evening I managed to get a ticket to their premier of The Magic Flute at the Teatro Olimpia. Rome’s leftist, progressive elite was in attendance that evening – I recognized a number of well-known public figures – because it was simply an event not to be missed. A casual visitor to the auditorium, who knew nothing about either the orchestra or the opera, would have seen it as part concert, part opera. They played a mixture of classical and ethno-music, jazz, pop, rap, reggae and mamba. Every so often, in between the Tunisian singer and the solo sections on the Arab lute and African instruments such as the kora, djembe, dumduma and sabara, you could hear excerpts from The Magic Flute, such popular arias as the Queen of the Night, Papageno, Sarastro, Pamino. This “opera” is performed in six languages: Arabic, Portuguese, Spanish, German, English and Wolof. Not even the story follows the libretto and the ending comes as a complete surprise… Admittedly, this is not a performance of the opera. Even the poster warns us that it is an interpretation: “The Magic Flute according to the Orchestra di Piazza Vittorio”. Mario Tronco himself says that this is not about faithfully performing Mozart’s piece: “We took great liberties with the score, we chose only what suits our orchestra. Our performance is full of references to other cultures. Our musicians come from far away, and I don’t mean just geographically. Each one of them brings to this opera his or her own culture, own language…” Tronco says that while Mozart’s opera is about “how it once was”, the Orchestra’s performance is about “how it will one day be”. And indeed, that opening night was for me as if the orchestra had cracked open the door to Europe’s future. Mozart’s music lies at the very heart of what we see as Europe’s cultural heritage. Most Europeans would probably like to hear them give a pitch-perfect performance of the original, because that would be proof of integration. This interpretation/adaptation/improvisation on the theme of Mozart, however well-performed and interesting, sounds blasphemous to their ears. But it is more likely that non-European immigrants will also bring something of their own to Europe, and that we will increasingly be faced with a mixture of cultures, be it with Mozart or any other holy of European holies. This interpretation showed that newcomers from other cultures will not necessarily completely adapt to our dominant culture, which is what they are expected to do, but will try to adapt the culture they encounter, in all its elements, to their own. And they will do so in both the arts and in life. Statistics will be the decisive factor here: with the number of immigrants from Africa and Asia growing, it may not be that just food, music, fashion and customs will undergo change – European laws may do so too. Yet very few people in Europe will openly say today: Yes, that’s true, so what? It seems that to talk about the integration and assimilation of immigrants (the only two models ever discussed) makes sense only up to a point – only when it concerns newcomers from Europe, say eastern Europe, such as Albanians or Bosnians, but not when it concerns Roma, who come from the same part of the world but do not share the same culture or history. But what about the non-European immigrants pouring in from the south, via Lampedusa, Sicily, the Spanish coast, and from the east, from Afghanistan via the Turkish-Greek-Bulgarian border, where the largest number come from? Europeans, be they pro or contra immigration, agree on the civilizational bottom-line that newcomers, especially from different cultures, must not cross – the emancipation of women, respect for human rights, democracy. But what about art, which, by definition, breaches all boundaries? Maybe it is better to be aware of how the greats like Mozart, Bach and Beethoven might sound in the future. But also of how many other traditions that we hold dear will change, if they haven’t already. Take the production of Murano glass. The little island of Murano, famous for its glass since the end of the thirteenth century, presents a sorry picture today. Most of its factories have closed. 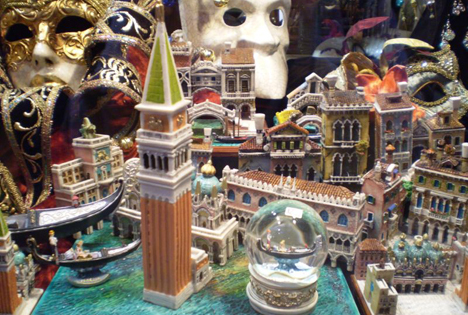 The jewellery, figurines, bowls, lamps, paper holders, and stoppers that are sold massively in hundreds of Venice’s souvenir shops are made in China. Yes, you get a certificate saying that the necklace you bought is Murano glass, but more likely than not it is Murano glass Made in China. The ordinary tourist won’t notice the difference or even wonder how the little island he visited the day before, where glass is not mass produced, can churn out such a vast amount of souvenirs. Or how such a wonderful glass ring or bracelet can cost just a few euros. And most importantly, how the vast majority of these items are identical, that is mass-produced. Because, on the little island of Murano, no two items made by hand can be the same. That’s one distinction; their fine workmanship is the other. I had a chance to see this for myself in a shop behind my apartment, on the corner of Calle Fiubero. Andrea, who works there, took me to the studio and showed me all sorts of objects, from a paper holder to lovely jewellery. They say it is hard to distinguish the Murano made originals from their Chinese copies. On the Internet you can find warnings and information about how to tell the difference, but you can also find advertisements for Murano glass manufactured in China. Of course, this is nonsense, since Murano is the name not just of a certain glass-making technique, but also of the glass objects made in Murano. Andrea picked up two bracelets. One was of precise, flawless workmanship; the other, I could see with a bit of effort, was a crude, approximate Chinese imitation. Mass tourism has led to a demand that Murano cannot meet, even when working at full capacity. And, as Andrea says, the Chinese have neither the same understanding of the original nor any moral dilemmas about producing imitations. But what upset me most was when he compared the millefiori pearl necklace made in Murano with the one from China. Because that was when I sadly realized that the necklace I had bought in another shop the previous day was a common or garden fake! The “danger of invasion”, as European politicians are wont to exaggerate, lies not only in the number of immigrants (after all, there are only around 200,000 Chinese in Italy, and roughly 2,000 in Venice), but also in the investment of money and buying up of property. Money is much faster in bringing change than immigrants. First the Chinese in Venice bought up small shops and turned them into “Murano” glass souvenir and leatherwear shops. Then they bought bars and restaurants; now they are following up with palazzos, turning them into hotels. One evening, as I was taking the vaporetto no. 2 from Ponte dell’Academia to the San Marco stop on the Riva delgi schiavoni, I noticed that entire sections on this part of the Grand Canal were without light. Huge palaces were steeped in darkness, as if nobody lived there. These are the summer residences of the rich. But among them are also palaces that belong to the city and that the city is selling off, explained a friend of mine who lives here. Because change comes in many ways, not just with the poor wretches who make it in one piece to Lampedusa or some other patch of Italian soil; not just through food, fashion, custom and music, but also via banks, investments, money-laundering, corruption of the local administration. And while Europeans ponder future changes and whether to put up a wall around Europe (if only they knew what its boundaries were), while they contemplate measures that will contain immigrants at that same imaginary border and Europe’s culture and the values that need to be preserved (although globalization, in other words Americanization, has already utterly changed them), the Chinese are freely investing, buying palaces in Venice in order to turn them into hotels, thus making even more money out of Europe’s cultural treasures. From the Venetian viewpoint, in comparison with the investments of the Chinese – nota bene, some people here call it money-laundering – fear of Muslim immigrants in France and Germany and further north looks almost pathetic. My neighbour says that Venice is increasingly turning not into a museum, as I romantically thought, but a Disneylandish amusement park owned by the Chinese, who alone profit from it. He is probably right. Be it at a slow pace or fast, legally or illegally, with or without money, as refugees or otherwise – the immigrants are coming. As I leave Venice with my fake Murano necklace, listening to the Orchestra di Piazza Vittorio, I try to imagine what Mozart would sound like if it were adapted, not performed, by a Chinese orchestra in the Teatro Fenice in the not so distant future. 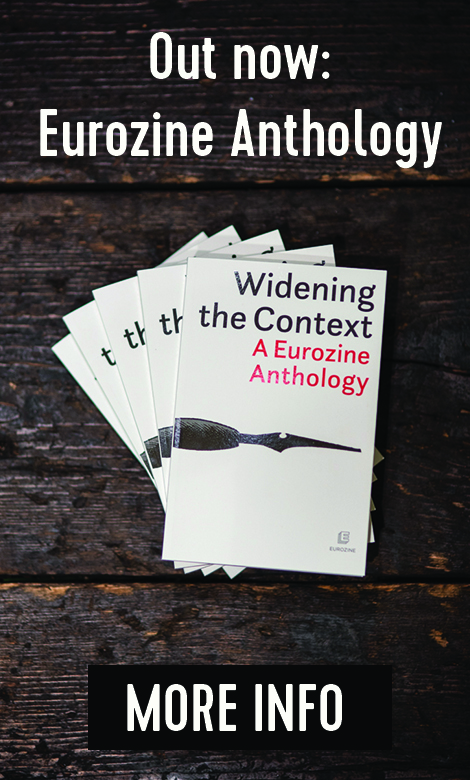 This article is a part of the international project “Mirrors of Europe”, a series of literary reportages by authors from numerous European countries coordinated by the association Project Forum in Bratislava in cooperation with Eurozine.